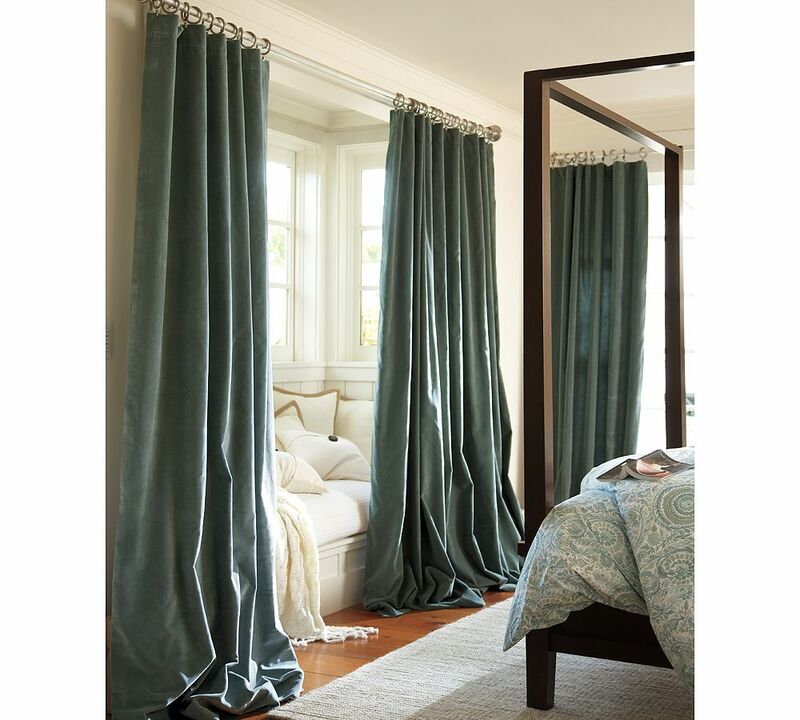 I LOVE these velvet curtains, but at the long length I need them they are $189 each…way too $$ for this cheap chick. I did a little hunting online which included visiting Copy Cat Chic. She finds great deals for items that are nearly identical to the high price things we drool over. Just so happens she also loves these PB curtains, and found ones similar on Curtain Works for her nursery. The closest color to the PB ones are the Peacock Blue, and from the pictures that Copy Cat Chic posted I figured the color would work great. We’ve got high ceilings, and I want the curtains to pool a little on the floor, so I need just over the standard 108″. The next size up is 120″ which is going to be long, but I can always hem them if I need to. The price per panel is $79.99, much cheaper than PB. They are still not dirt cheap, but it’s the best deal I’ve found out there where they don’t look too flimsy. Before hitting purchase I went over to Retailmenot.com to see if there was a discount code available and voila – there was one for 20% off. YES! In addition to that there is no shipping charge if you spend over $100. Double YES! So my total for two panels, with tax, and the discount was $138.54. Not bad!